Shock covers ATV and quad shock covers are designed to add to the life of your shocks by protecting them from rocks, dirt and grime. They are available in several colors and graphic combinations - including custom covers that can tailored to your liking. 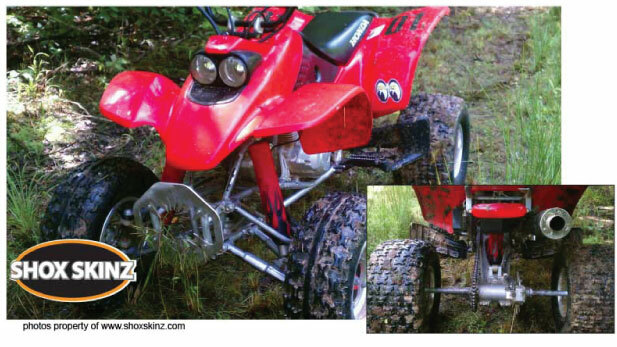 Shox Skinz quad/atv covers are sold in sets of 3 (2 front and 1 rear) for $39.95. Who is the manufacturer of your vehicle?